chris and tessa headed back to their lil babies after our days in seattle, so after dropping them off at the airport, we headed straight to portland. the linford’s flight was at 6 am, so we got to portland just in time for breakfast. 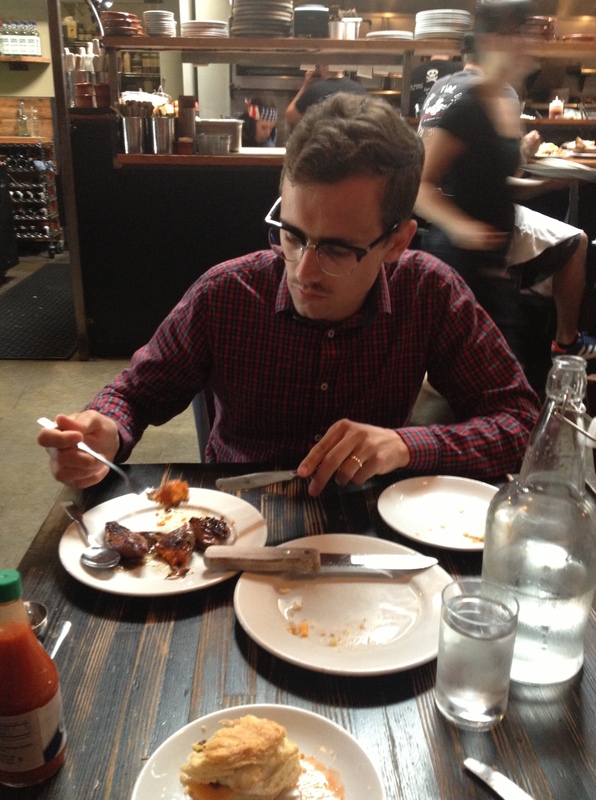 we went to tasty n sons, and the place didn’t disappoint. i had the homemade biscuit sandwich with cheddar and fried chicken. i never even eat fried chicken, but this thing was daaang good! we also ordered french toast with berries, smoky glazed sweet potatoes and a homemade chocolate donut. portland knows how to do breakfast. portland also knows how to do ice cream. 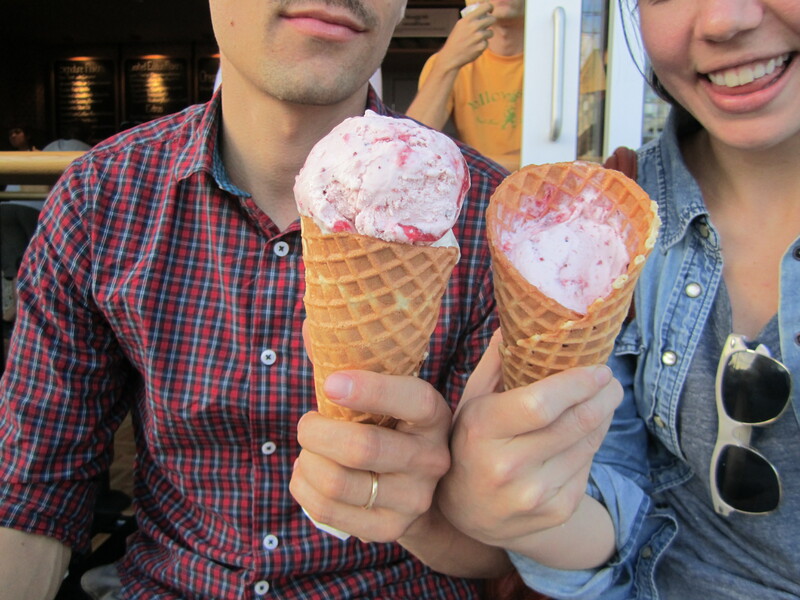 we tried salt & straw ice cream at the recommendation of lots of friends, and it held up to its reputation. i had strawberry balsamic ice cream with black pepper and olive oil ice cream. david had melon prosciutto and pear with blue cheese. whaaaa?? crazy flavors. but they manage to pull it off without tasting as crazy as it sounds. please click the link to be entertained by their menu. we also went to ken’s artisan pizza and the good food luck kept flowin. believe it or not, we packed in all that food and more into one day. we also napped in a park. because we’d gotten up at 5 am and we were tired and it was vacation! we can do what we want. 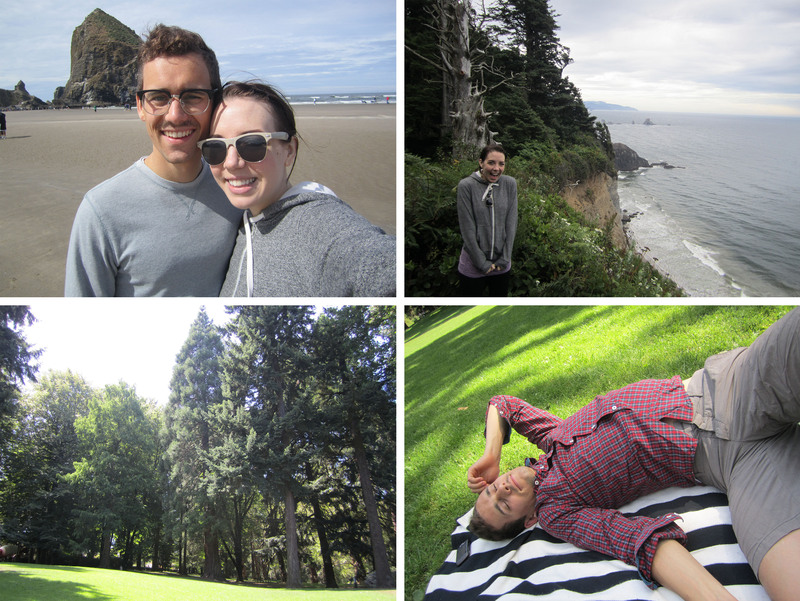 then we went to the coast to check out indian and cannon beach. magical! This entry was posted in getaways and tagged anniversary, portland, road trip. Bookmark the permalink.